Beginning with a general definition of high-yield bond products and where they reside within the corporate capital structure, this newly updated guide looks at the development of high-yield bonds in the United States and Europe before analysing this sector in Asia. It covers issuer countries and industries, ratings, and size distributions, and also covers the diversification of the high-yield issuer universe. It includes a thorough technical analysis of high-yield bond structures commonly employed in Asian transactions, including discussion of the respective covenants and security packages that vary widely across the region. 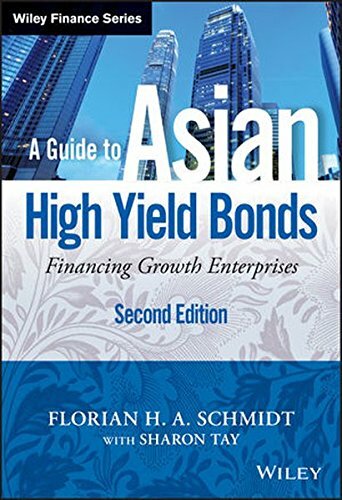 Chapters and sections new to this edition cover such subjects as high-yield bond restructuring, the new high-yield "Dim Sum" market, and the high-yield placement market shutdown of 2008 – 2009. Finally, the book looks at the new characteristics of Asian economies for indicators on how the high-yield market will develop there are the near future.